Duke Radiology’s expert faculty presents a wide-ranging 20 hour summary of essential topics for today’s practice, including MRI safety, radiation dose and incidental findings. Special focus is placed on the cutting edge of imaging advances and procedures, covering multiple modalities in many sub-specialties. Worth up to 20 AMA PRA Category 1 Credits™ and accepted as self assessment CME for Maintenance of Certification requirements! The ALL NEW 29th Annual Advances in Vascular Imaging and Diagnosis is the largest edition ever, with nearly eighteen hours of content devoted to the analysis and management of vascular disease. The ultrasound component of the internationally renowned VEITHsymposium®, AVIDsymposium® is sponsored by Cleveland Clinic. Worth up to 17.75 AMA PRA Category I Credits™, this program FULFILLS VASCULAR LAB CME REQUIREMENTS, and is essential for all cardiovascular health professionals. NO POST TEST REQUIRED to obtain credit! Topics: Real time B-mode imaging, color and spectral Doppler, non-invasive techniques, thrombo-embolic disease, venous disease, arterial, cerebrovascular, abdominal, wound care, diabetic foot principles, hemodialysis access, vascular lab management, vascular ultrasound education, reimbursement and laboratory accreditation. For the first time ever, Meetings By Mail presents Cleveland Clinic’s Nephrology Update. Every year emerging scientific data alters the understanding of the pathophysiology, diagnosis and management strategies for patients with kidney disease. An internationally renowned faculty presents the most recent information and expert perspectives on relevant nephrology topics, keeping physicians on the cutting edge of this specialty. Sessions on hypertension, obesity, acute kidney injury, glomerular disease and biopsy cases will best prepare practicioners for the challenges ahead. Worth up to 17.25 AMA PRA Category I Credits™ and no Post Test! Topics: Renal replacement therapy, hypertensive nephrosclerosis, loop diuretics, management of obesity, biopsy cases, glomerulosclerosis, precision medicine, electrolyte disturbances, glomerular disease, clinical and pathologic markers, diabetes, IgA nephropathy, transplants and much more! HD video capture includes speaker’s cursor movements. This multi-modality review features Duke Radiology’s expert faculty analysis of state of the art practices in body and musculoskeletal imaging. Best techniques for MR, CT, DECT, PET, SPECT and Ultrasound are presented, with emphasis on practical, everyday application for optimal results. All 15.5 AMA PRA Category 1 Credits™ from this enduring material can be used to fulfill Self-Assessment CME requirements for Maintenance of Certification. Topics: DECT, pancreas, liver, thoracic, nuclear medicine, shoulder, elbow, knee, ankle and much more! This enduring material includes 7.75 hours MR, 6.25 hours CT, 2.5 hours nuclear medicine and 1 hour ultrasound. Several presentations concern multiple modalities. All credits for this enduring material are applicable toward Self Assessment CME requirements for Maintenance of Certification (MOC). For the first time ever, Duke Radiology’s expert faculty focuses on the challenges of Emergency Imaging in this multi-modality review. Best applications of MR,CT and Ultrasound within this context are analyzed with practical solutions in mind. Designed for all Radiologists who provide services in emergency situations, and all credits can be used to fulfill Self-Assessment CME requirements for Maintenance of Certification. Topics: Abdominal, pediatric, neuro, musculoskeletal, cardiovascular and interventional imaging in emergent situations. Featuring Duke Radiology’s elite faculty discussing the finer points of the practice. Best techniques and applications for MR, CT, Ultrasound and PET are presented, with special focus placed on pelvic, cardiothoracic, neuro and pediatric imaging. Worth up to 16.25 AMA PRA Category 1 Credits™ and accepted as self assessment CME for Maintenance of Certification requirements! Topics: prostate, GYN, small bowel, ischemic heart disease, pulmonary fibrosis, stroke imaging, dementia, congenital lung abnormalities, common indications in children and much more. The third edition of A Comprehensive Review of Musculoskeletal MRI provides a thorough review and update of techniques and protocols in this specialized imaging area. Course Director Clyde Helms, M.D. and faculty focus upon the best practices for analyzing a wide range of MSK anatomy, through the use of the latest MRI technology. Hundreds of images and thoughtful discussions provide a valuable resource to optimize musculoskeletal MRI for superior patient care. All 17.25 AMA PRA Category I Credits™ from this enduring material can be used to fulfill Self-Assessment CME requirements for Maintenance of Certification. Topics: Shoulder, knee, hip, pelvis, elbow, foot, ankle, lumbar spine, tumors, bone marrow and much more. Combo and Quantity Discounts are available! Internationally renowned speakers from Penn Radiology and other notable institutions gather to present the best practices for today’s breast imager. Fundamentals will be reviewed, and hot topics examined including breast cancer screening, digital breast tomosynthesis and abbreviated MR. Presentations will focus on the incorporation of newer technologies into conventional protocols. Worth up to 15.5 AMA PRA Category I Credits™, this multi-modality review and update will meet the MQSA CME requirements for breast imagers. All credits count toward Self Assessment CME Requirements for ABR Maintenance of Certification. Focus: BI-RADs 5th Edition, breast ultrasound, digital tomosynthesis, biopsies, management of high risk lesions, breast density, breast cancer biology, DCIS, post-op imaging, lymph nodes, problem solving, contrast enhanced digital mammography, BI-RADs 3 lesions, abbreviated breast MR, male breast, false negatives and much more! University of Pennsylvania Radiology faculty along with internationally renowned guest speakers present both standard and emerging practices in Breast Imaging. This course consists of a review of breast imaging basics with an exploration of the most up-to-date information on Breast MRI, Mammography, ultrasound and tomosynthesis. Worth up to 16.5 AMA PRA Category I Credits™, this multi-modality review and update will meet the MQSA CME requirements for breast imagers. All credits count toward Self Assessment CME Requirements for ABR Maintenance of Certification. Focus:Diffusion weighted imaging, MRI risk and interpretation, tomosynthesis, breast cancer risk assessment, screening, ultrasound techniques and applications, BI-RADs, image-guided biopsy, post surgical imaging and much more. Penn Radiology Neuro, Body and MSK Imaging Update is designed to enhance comprehension of imaging subjects encountered in everyday practice, and present the newest optimization techniques available. Selected topics in neuroradiology, head and neck, abdominal, chest, musculoskeletal and pediatric imaging will be discussed with a multimodality perspective. As such, the expert faculty will provide practical tips to enhance image acquisition and interpretation skills. This activity is worth up to 21 AMA PRA Category 1 Credits™, which are all applicable to SA- CME requirements for Maintenance of Certification. Topics: Pituitary, maxillofacial, CNS, head & neck, sino-nasal, skull base, brain tumors, abdomen, biliary, pelvis, pancreas, GI, cardiothoracic, pediatric, knee, shoulder, hip, anatomic variants, MSK masses and much more! 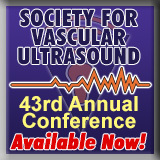 For over 40 years, the Society of Computed Body Tomography and Magnetic Resonance has featured the brightest minds in radiology presenting the hottest topics and latest advances in Body CT and MR. This year’s edition includes over 100 experts sharing their wide ranging insights on the body imaging practice. This activity meets the entire Self Assessment requirement for ABR Maintenance of Certification (MOC). Additionally, the SCBT-MR 41st Annual Course meets ACR CME requirements for accreditation in both CT and MR! Topics: Retroperitoneum, urinary tract, cardiothoracic, pelvis, multi energy CT, leadership, professional development, MR advances, informatics, prostate, GYN, artificial intelligence, hepatobiliary, abdomen, bowel, msk, molecular, interventional, vascular imaging and more. This enduring material includes 21 hours MR, 18.25 hours CT and 4.5 hours PET. Several presentations concern multiple modalities.